Commercial farming is a capital-intensive undertaking that requires the best equipment. Successful farmers understand that they can only continue being prosperous if they purchase tried and tested tractor brands. One such brand is Kubota. 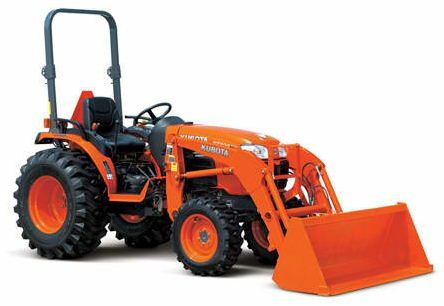 Kubota tractors are known for being reliable in all farming operations. Farmers in Midwest U.S. are well positioned to take advantage of the excellent deals on Kubota tractors available from German-Bliss. 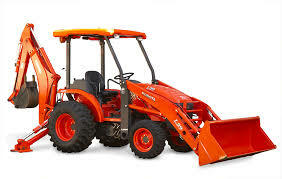 As the authorized Kubota dealer in the region, the company offers its customers enticing package deals, rentals and also service for their tractors. Customers can also contact the company for special deals on walk mowers, zero turn mowers and hand-held equipment. These services are available to all farmers, homeowners and property managers in the area. German-Bliss customers can choose to purchase new or used equipment from well-known brands like Honda power equipment, Bush Hog, Land Pride, Gehl Light Construction equipment and Stihl equipment among others. German-Bliss customers are always delighted to learn that the company offers servicing for any equipment that they sell or lease to them. If your equipment has a problem, you can contact the company’s friendly customer service team to schedule a service appointment. Now they have an incredible array of Kubota tractor packages available, which are drawing customers from all over the midwest. If you are looking for the Kubota BX2370RV60-1, the company has a good deal that you cannot resist. For $17,099 you get this 23 HP diesel engine tractor. Should you require financing, you can get a deal with a low APR upon credit approval. In case you need the Kubota BX2670RV60-1 with 26 HP diesel engine, you can get it for a starting price of $18,399. This deal has a financing option with a low APR as long as you get your credit approved. If you need the Kubota B2320HSD with 23 HP diesel engine, you can get it from $18,699. In the event that you need some more power, you can go for the Kubota B2620HSD with a 26 HP diesel engine. This tractor is available at a package price of $19,999 and comes with all the features and accessories you expect from German-Bliss. In case you prefer the Kubota B2650HSD with 26 HP diesel engine, the unit is available at a package starting from $21,899. If your farm needs demand that you purchase the Kubota B3350HSD Tractor with a 33 HP diesel engine, the unit is available at a package price of $25,199. German Bliss also has some great deals on the Kubota L Series. On this package, you can get amazing deals on the Kubota L2501DT tractor, the Kubota L3200DT, the Kubota L3301DT, the Kubota L3901DT as well as the Kubota L3901HST. You can get these tractors from between $20,199 to $25,299. The deal on the L Series also includes the large Kubota L4701DT for between $29,999 and $31,399. Lastly, the Kubota MX Series is included in the package, and you can get the Kubota MX4800DT, the Kubota MX4800HST, the Kubota MX5200DT and the Kubota MX5200HST. These tractors are available on packages that start from $31,999 to $34,399. Should you choose to purchase your tractors from German-Bliss, you are likely to get a good deal. If you do not find the deal you are looking for, you can request for a customized deal that meets your needs. Residents of Midwest U.S. can enjoy the best deals on the affordable Kubota tractor packages.